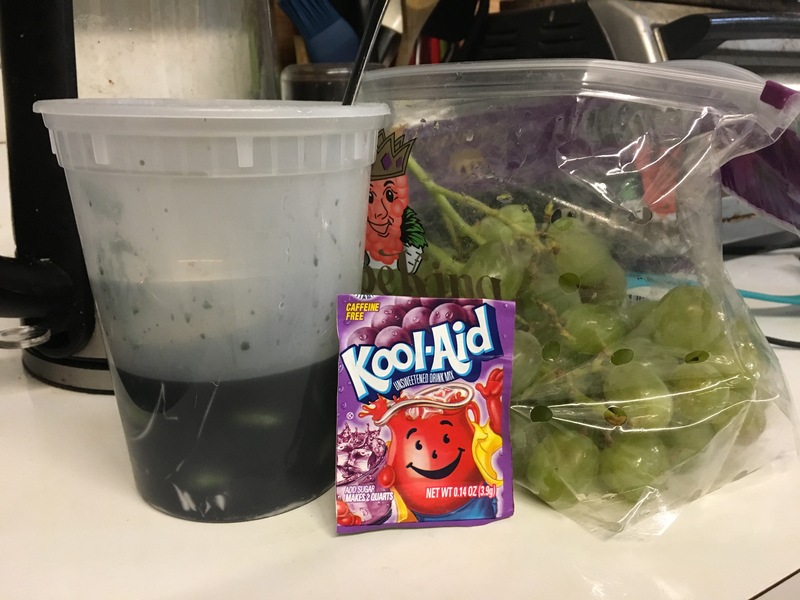 Grapes don’t really taste like so-called “grape-flavored” soda or juice. But…what if they did? We’re no antifa super soldiers, and we slept through November 4th, but we still wanted to make a bombe. A dessert bombe, that is. Baked Alaska is an ice cream cake coated in a meringue shell and can often be seen taping itself with a selfie stick while wearing douchy sunglasses. Basic Baked Alaska is vanilla, but his enlightening videos have taught us that mace and milk are a winning combination. Of course, to make this Baked Alaska, we needed a lot of mace because Baked Alaska certainly deserves it. We used an entire jar! Baked Alaska. Just needs milk! Our ice cream was a custard base with proportions based on a black currant and tea ice cream recipe. 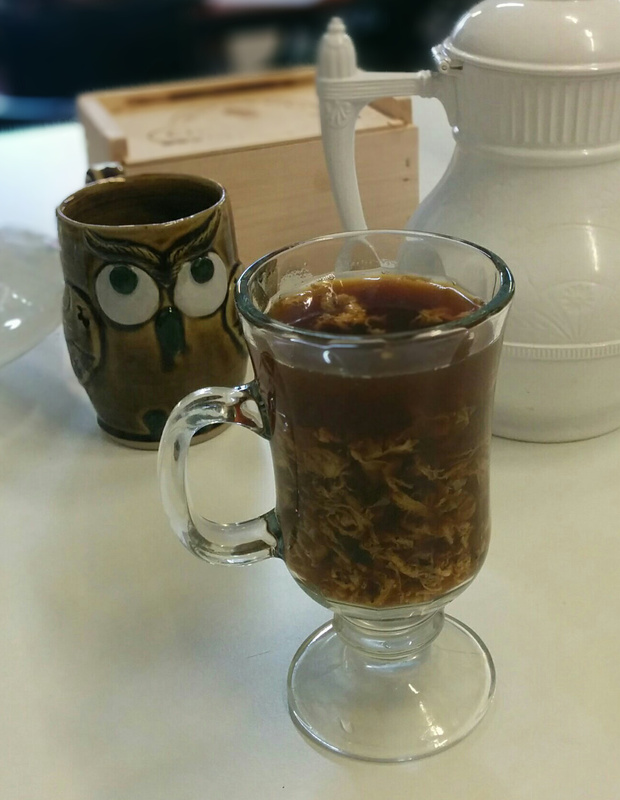 We infused the heavy cream with mace using tea bags and added lemon and orange extracts for that special Citronella aroma reminiscent of a moonlit night of tiki torches and white male mediocrity. The lemon extract had a subtle flavor. The orange extract tasted like someone tore out the beating heart of a Cointreau. But together these extracts balanced the clove-like flavors of the mace. We used a standard recipe for Genoise cake with one alteration: in lieu of syrup or burnt butter, we melted around 4 tbs of butter with 1 tsp ground mace and 1 tsp lemon flavor and folded the mixture into the batter before baking it. 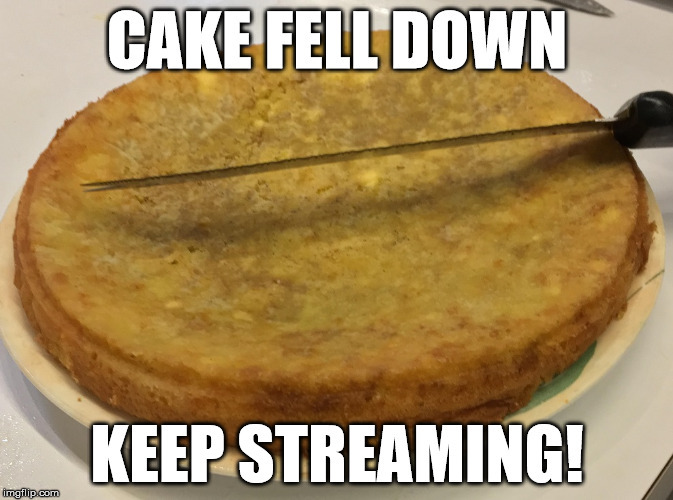 Unfortunately, the cake went flat while cooling in the refrigerator before we topped it with ice cream. Don’t worry, we didn’t throw it in the bin, because at least this Baked Alaska isn’t complete rubbish. 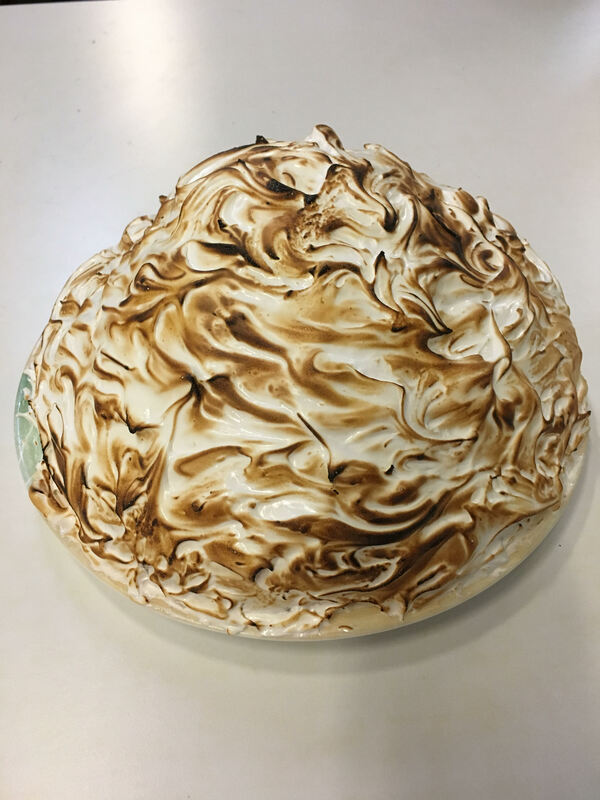 Finally, our Baked Alaska was topped with an Italian meringue that was torched to perfection. Down with egg white supremacy! Kristen: The cake was too dense to eat, especially once it was chilled by the ice cream. We probably shouldn’t have tried to use the meringue to shape the overall structure into a high dome, because we ended up with way too much meringue in each slice, like having too much frosting and not enough cake or too many people with the same background and not enough diversity. But the ice cream was delicious! It wasn’t quite pumpkin spice ice cream (“pumpkin spice cream”? ), but it had that “autumn is here, weather is turning cold, be sure to wear a coat to the counterprotest against the Nazis this Saturday” taste. Beth: The mace itself worked very well with the baked Alaska, and it’s something we recommend repeating. We found that the proportion of meringue was too large, and inside it was underdone. That is to say, the white contribution to the flavor discourse was overwhelming as well as half baked. The experience would also have been improved if the genoise (always at the bottom of the dessert hierarchy) had been given more opportunity to rise up. “Red velvet cake” is a weird name for a cake, if you think about it. We might naively assume that “velvet” describes the texture and not one of the ingredients. But what if were an ingredient? 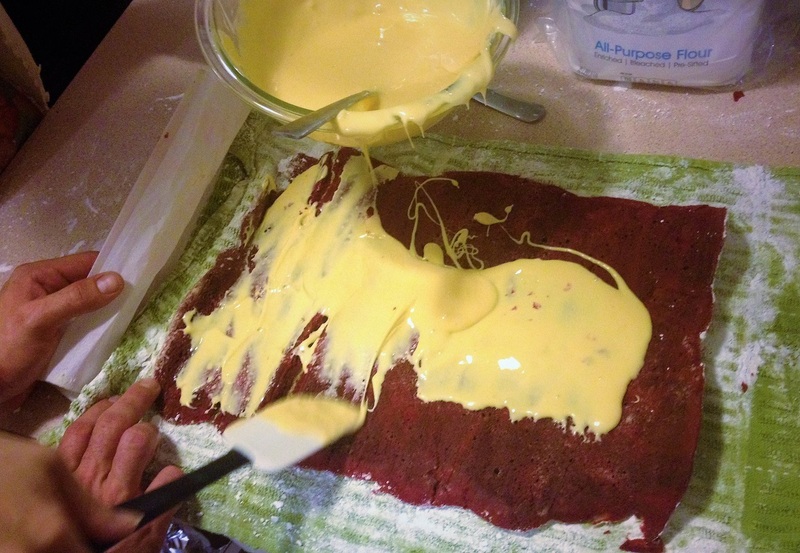 Introducing: red Velveeta cake! 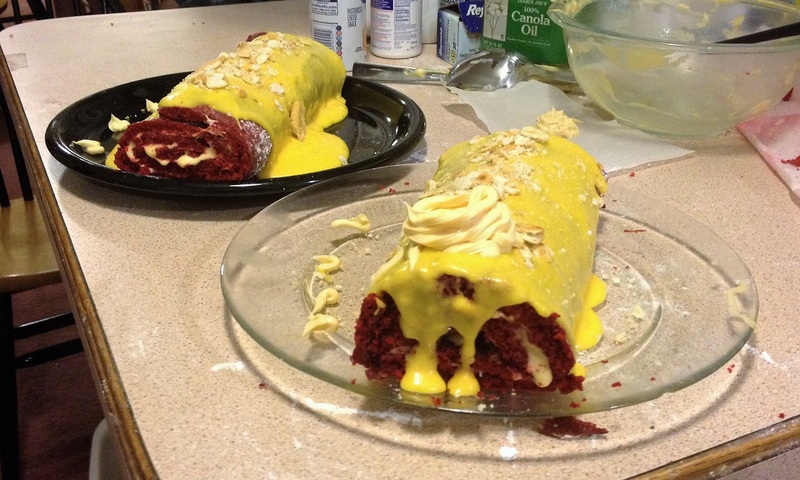 We decided to make our red Velveeta cake jelly-roll style, with melted Velveeta rolled up inside a red velvet cake and covered with frosting and Ritz crackers. The cake had a Duncan Hines red velvet cake mix base with some Velveeta added for good measure. We didn’t know how much melted Velveeta we could add without changing the texture of the cake after baking, so we did some rough calculations on fat and protein content and replaced some of the oil and eggs with velveeta, giving the batter a cheesy aftertaste. For the frosting, we modified a recipe from the Food Network, where we replaced the cream cheese with a combination of Velveeta and cream cheese. After baking the cake in a thin layer on a cookie sheet, we coated it with frosting and rolled it into a log. Then, we added decorative cheese whiz and sprinkled Ritz crackers on top of the log. Lian: It looks like something made out of playdough. I think I would rather just eat the playdough. Conor: This tastes like cheese and regret. And Ritz crackers. Kristen: Someone, I don’t know who, just said that it tastes like a nacho cheese cake. That’s accurate. This cake is rich and thick, with balanced flavors of cheese and chocolate. Wait, that makes it sound delicious…. It’s not really, though. I could only eat a few bites. Sharon: Remarkably not too regrettable. Julia: That is certainly a thing I just ate. Greg: Having not eaten any, I am satisfied with my life choices. We’re tweeting as @unwholesomefood on Twitter! We’ll update you on our (admittedly very sporadic) posts and share links to unwholesome foods we find on the internet. 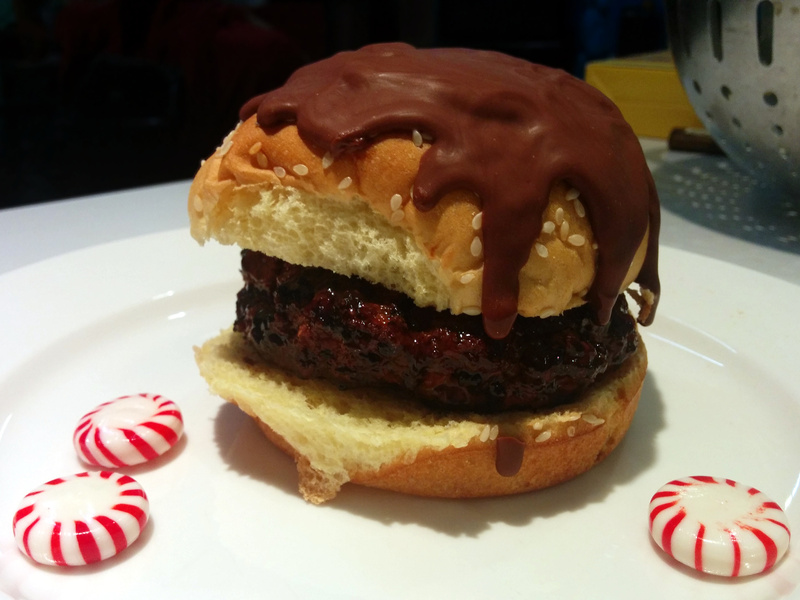 Some people think peppermint patties are delicious, and some people think hamburger patties are delicious. A coincidence? We think not! It may be true that the only thing these two foods have in common is the word “patties”, but we don’t see why that’s any reason not to combine these foods into one! As the holiday season enters full swing, you may be getting tired of the same old cookies. But we have the solution for you! Here we showcase three modern beings of the briny depths – the sea cucumber, the sand dollar, and the sea urchin. We also feature two ancient denizens from the time of the great old ones, the trilobite and the marella. 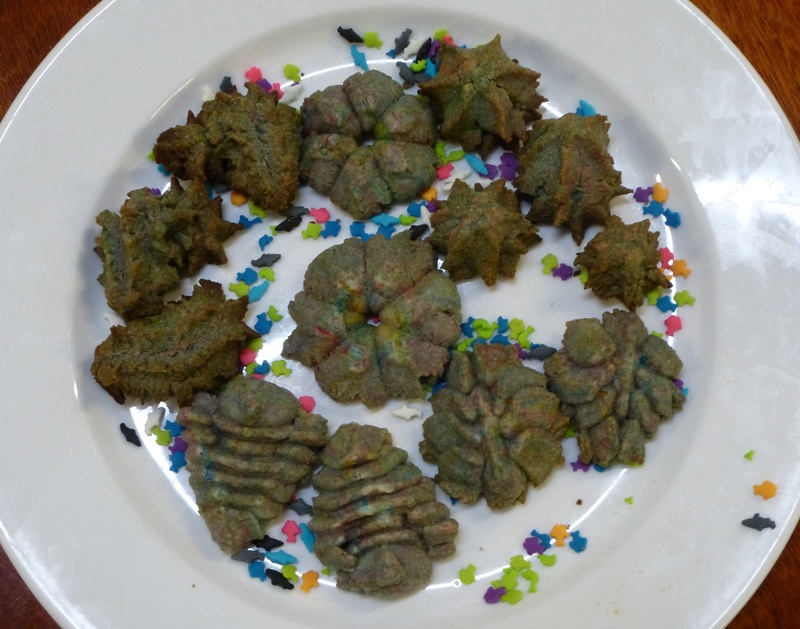 Or is that some variety of opabinia that once walked the dead city of R’lyeh?